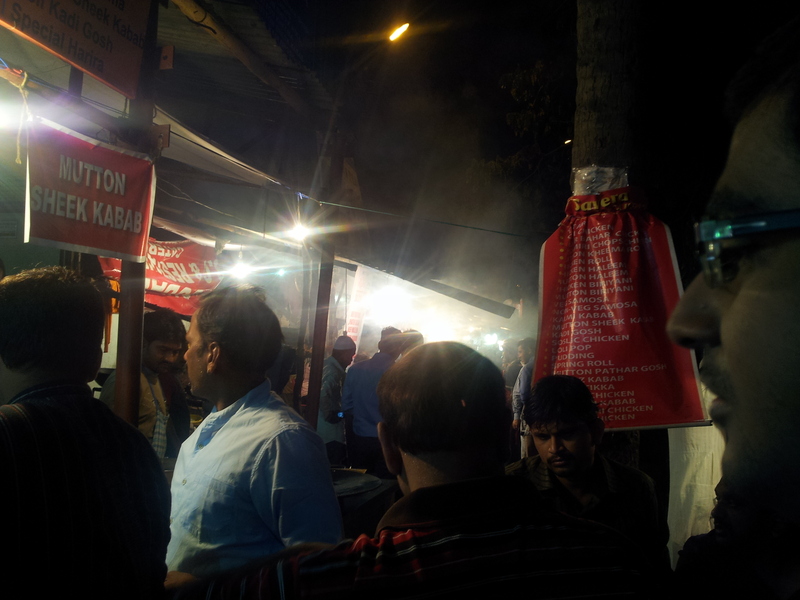 During this month of the Islamic calendar, the entire area of Mosque Road becomes a foodie’s paradise. 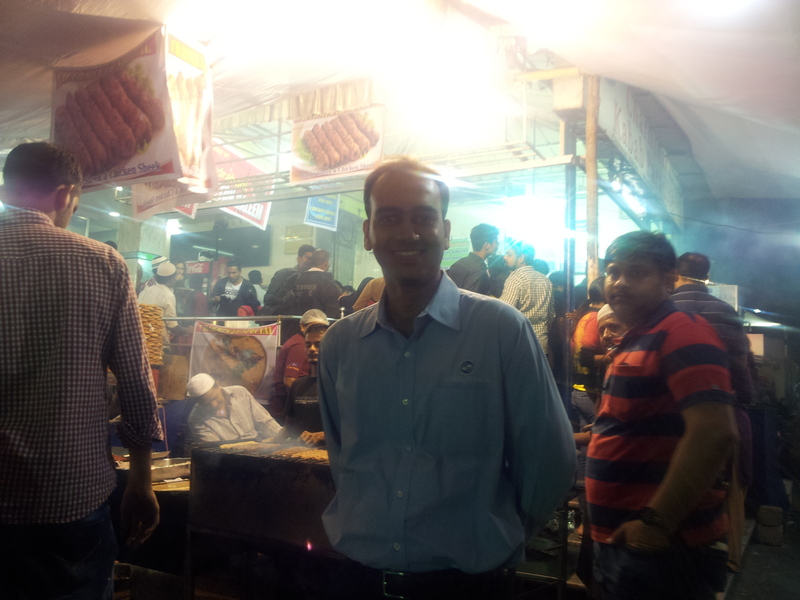 Me and two of my colleagues, Mainak and Rueben, made a trip to sample the food. 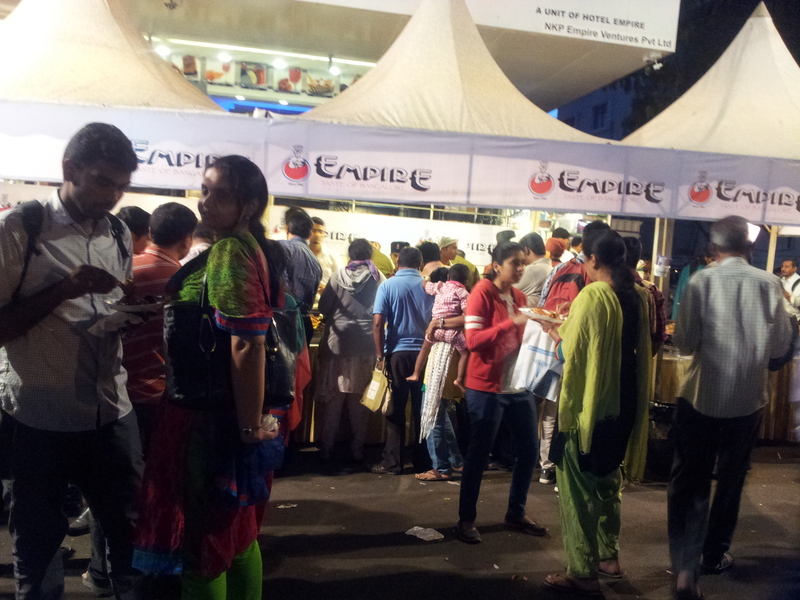 Even Empire had setup an extension in front of their restaurant to serve the crowd. 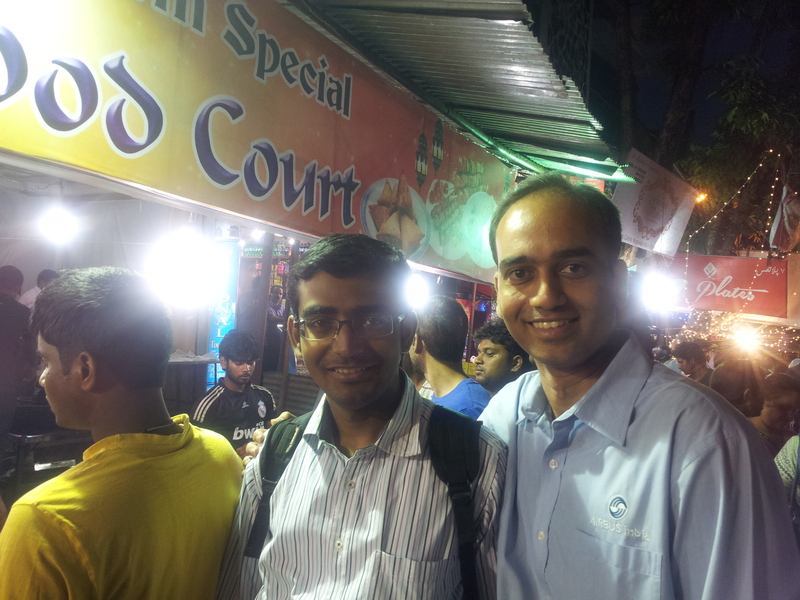 Mainak and Rueben – my colleagues and fellow food tasters. Some of the shops are over crowded. As Rueben pointed out, we only went to shops with a substantial crowd. They must be good that’s why there is a crowd. Rueben posing with a crab roll. 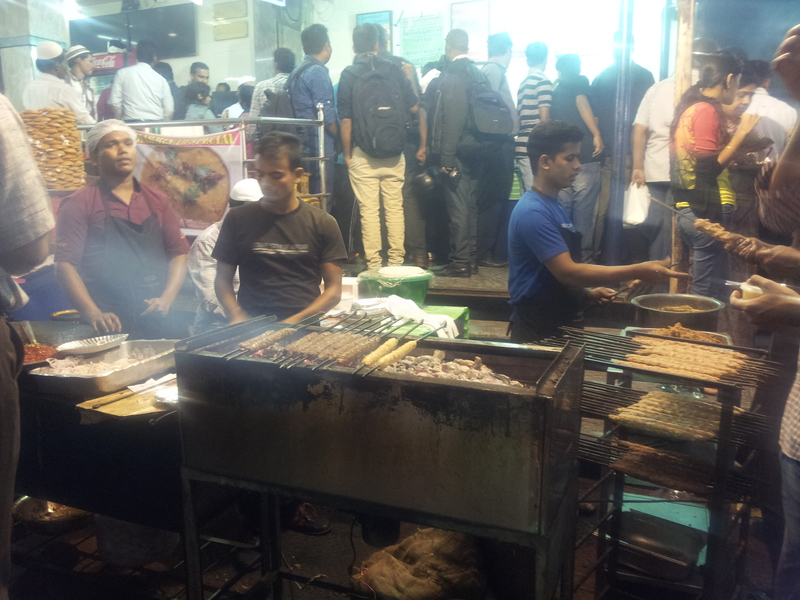 A dedicated section for minced seekh kebabs in the shop adjacent to mosque. 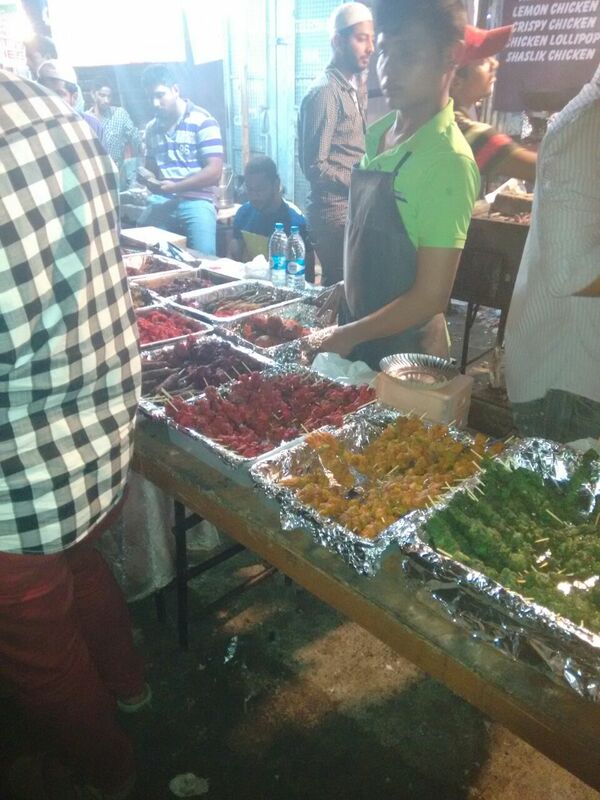 They had dedicated sections for various types of sweets and deep fried items. 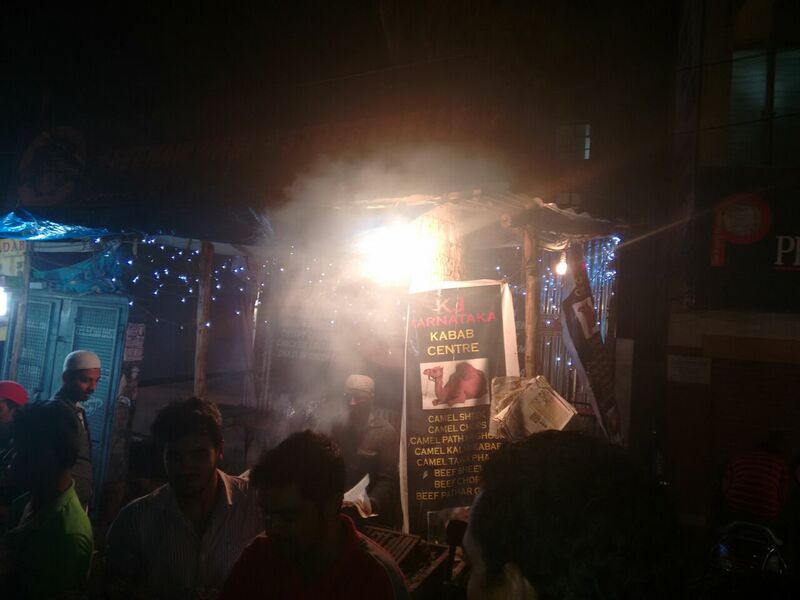 The only shop that sold camel meat. We did not try it. Various kinds of seekhs ready to be grilled. Patthar Beef (Meat roasted on a heated granite slab) with Idiyappam. P.S. 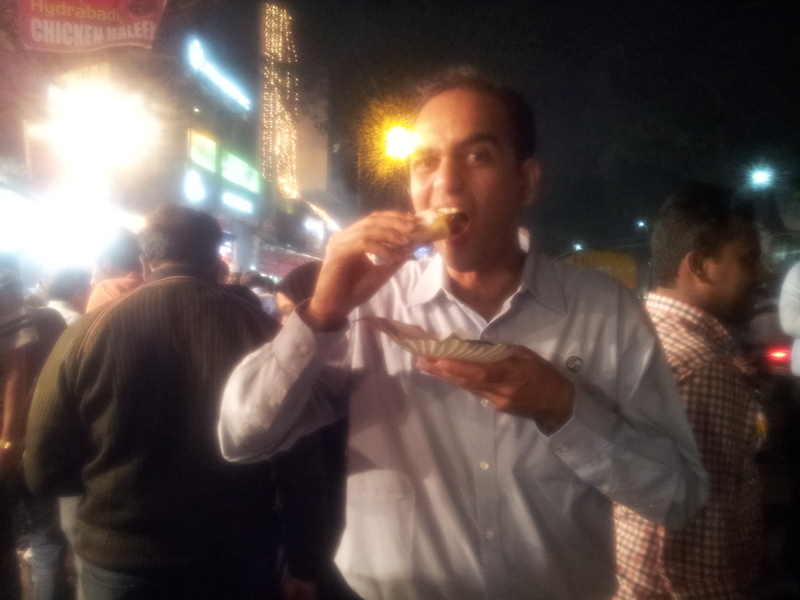 The phirni was very good. I am having one right now as I compose this blog post. P.P.S. This entire trip was made possible because of two free Uber rides – one sponsored by Rueben and the other by Mainak.